We all serve the youth of our Church in many different ways. Whether you are a paid youth ministry coordinator, volunteer, teacher, financial supporter, or a prayer warrior for the youth, we all have a desire to see our youth come to Christ, and to journey with others who feel the same way. 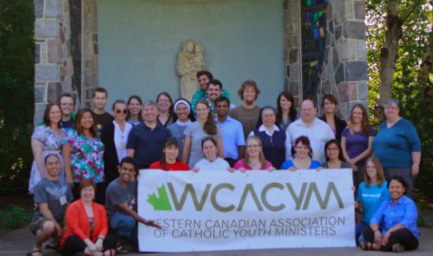 WCACYM exists to be a source of community, networking, support, and professional & spiritual development for everyone involved in youth ministry. Our membership includes youth ministry volunteers, priests & religious, Diocesan & Eparchial directors of youth ministry, paid youth ministry coordinators, and a Bishop Liaison.